From left to right: André Gonçalves, top row: Andreia Nunes, Sólveig Thorsteinsdóttir, Luís Marques, bottom row: Inês Antunes, Gabriela Rodrigues, Patrícia Gomes de Almeida, Marianne Deries. Photograph by Pedro Rifes. Part of the mesoderm of all vertebrate embryos segments into somites, transient balls of cells which contain most of the precursors of the axial musculoskeletal system. This system is common to and characterizes all vertebrates, and its functional modification over evolutionary time allowed the conquest of land. How do these apparently homogenous balls of cells give rise to a functional system composed of vertebrae, tendons, blood vessels and skeletal muscle, the latter which is innervated at precisely the appropriate time? How do specific mutations affect their developmental programme and lead to disease, such as the muscular dystrophies or developmental defects in the vertebral column? How were the development of somites and their derivatives modified to produce a muscle pattern able to sustain the vertebral column on land? Our group addresses the cross-talk between the different derivatives of the somites in the shaping of the musculoskeletal system and how, in some cases, defects in these communication events lead to disease. 1. To understand the cellular and molecular processes underlying the development of the axial musculoskeletal system of terrestrial vertebrates. We are particulary focussed on how different cell types and tissues communicate via paracrine factors and extracellular matrix molecules ensuring the development of a physiologically functional system. 2. To use our knowledge of the normal development of the axial musculoskeletal system to address what exactly goes wrong in congenital disease states such as in muscular dystrophies, and when cell-cell communication events go awry, such as in cancer. 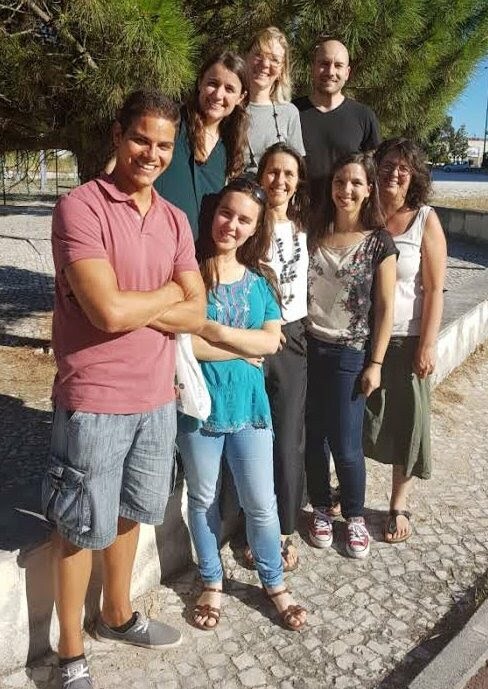 Our group is also highly involved in the Masters in Evolutionary and Developmental Biology at FCUL.